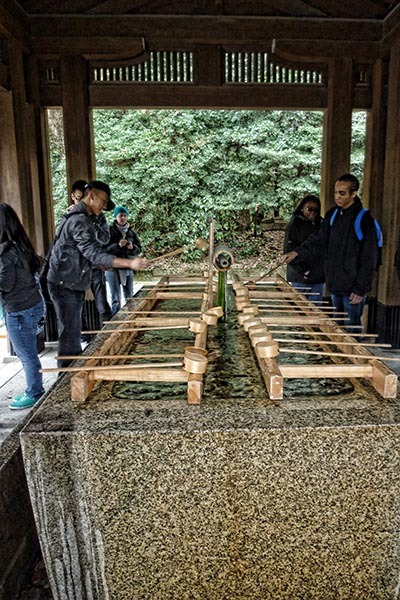 Visiting a Shinto shrine is tightly woven into the daily life, culture and history of Japan. As a tourist you will probably want to visit at least one during your stay. I had a list of shrines and shrine festivals I wanted to see but I was also mindful that they are places of worship and I wanted a bit of background to understand any rules and have some context to what we saw. I’m no authority on Japanese culture or religion but these are some of the tips I picked up. You will hear the terms shrine and temple used interchangeably by some tourists but they are different things. 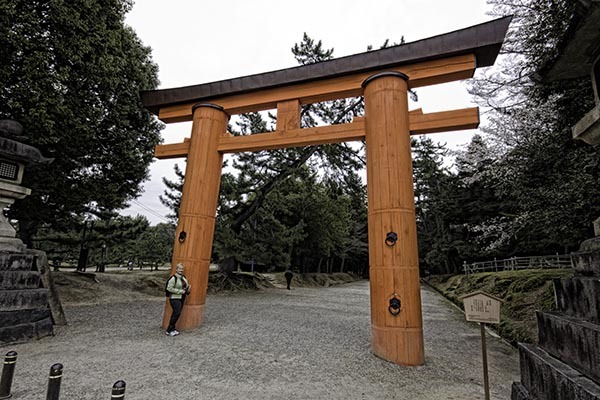 A shrine or Jinja in Japan refers to a Shinto place of worship and is often easily identified by the large vermillion (orange) shrine gates or archway at the entrance. A temple in Japan is generally Buddhist and is a place of worship for those following the teachings of the Buddha. 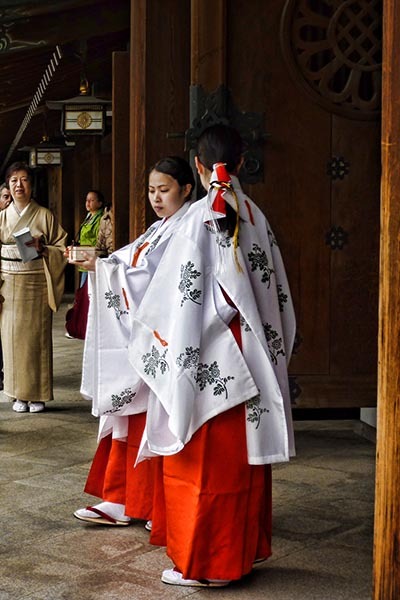 Shinto is the indigenous religion of Japan and is practiced by the majority of Japanese, it comes from ancient folk beliefs and rituals with the fundamental principal that all natural things have a Kami or spiritual guardian. 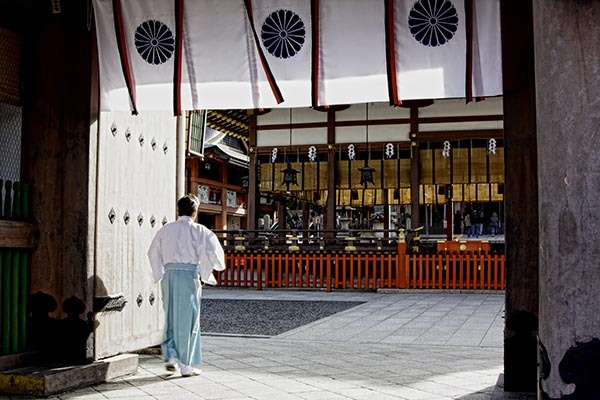 Many of Japans festivals and celebrations are focused around Shinto events. Shinto doesn’t have a recognised founder or scriptures but is a part of everyday life with 80% of the population practicing it. 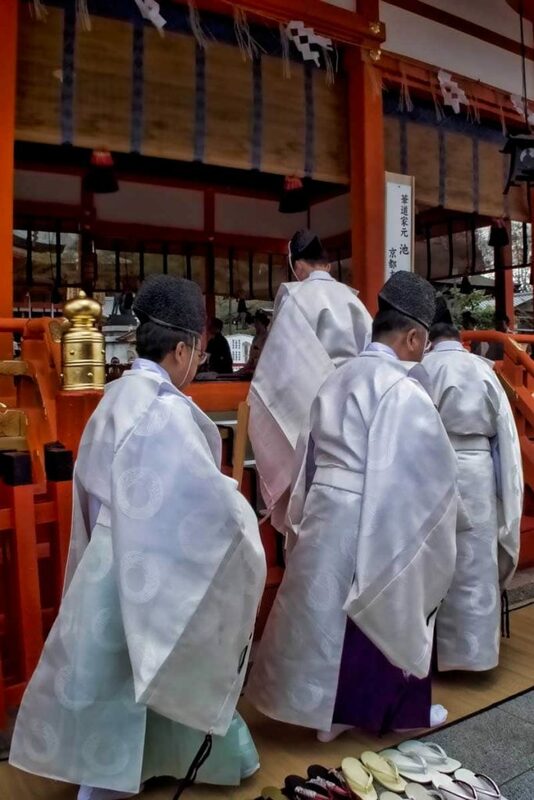 In Japan people will attend and make monetary offerings at the Shrine for any major or minor event in their life but will often practice it in parallel with a second religion, most often Buddhism. Not taking photographs where it is signposted not to, or of the shrine (alter) itself which is the part where the Kami is housed and people are praying. The Chozuya is a pavilion just after you have entered the shrine with a water trough, fountains of running water and ladles. 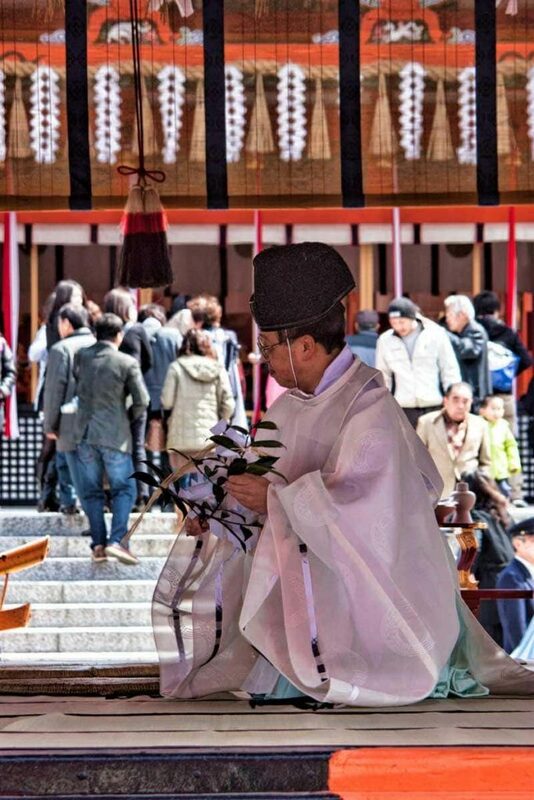 The purpose is to symbolically purify yourself before you enter the shrine or temple. Wait for your turn and using the ladle first in your right hand allow the water from the fountain to fill it about half way and wash your left hand, then repeat with the other hand. You should now swap the ladle back to your right hand tipping the water to your cupped left hand and transferring it to your mouth. Wash it around but don’t swallow, spit it out onto the rocks below – NOT into the water trough. Still holding the ladle in your right hand refill it and hold it so the water runs down the handle to rinse it and place it back upside down to drain where you found it. I noticed many people including some Japanese cleansed only their hands so we did the same. In spring and winter it’s cold in Japan and the water at the chozuya is freezing but it’s still expected that you should purify. As a side note on this, while public toilets in Japan are generally clean and well maintained, hand towels or dryers aren’t the norm. I started carrying a tiny towel from the Y100 store to prevent chapped hands in the cold with all this extra hand washing as we often ended up at several shrines and temples in a day. 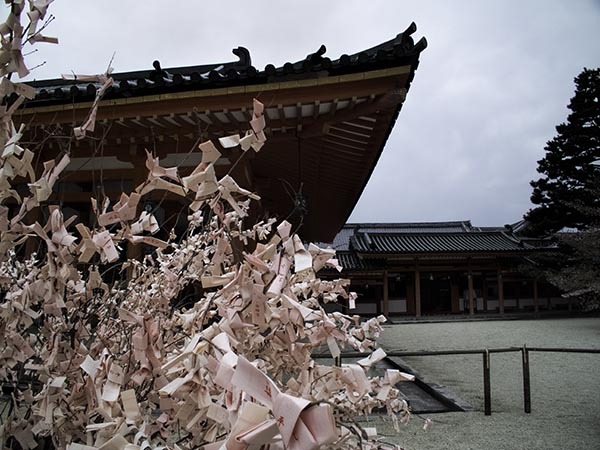 The small strips of paper you see tied to a tree or frame in the shrine grounds are fortunes or Omikuji. In a more traditional shrine you shake a box until a bamboo stick with a number falls out and the Priest or Miko will give you a fortune that corresponds to that number. Others now have a system when you insert a coin and take a fortune. Omikuji at Heian Shrine during Sakura. The piece of paper then has a high level fortune which have various levels between very good luck (大吉) and very bad luck (大凶). Pay attention to that last character, that part is consistent and indicates if it is a good or bad one. There’s also a more specific fortune written in a poetic form of Japanese but that will need more than your basic level of Japanese reading skills to interpret. If you receive good luck you could keep it with you, perhaps in your wallet but if it is bad luck you simply tie it to the tree leaving it behind so it doesn’t attach to you. I love the concept of choosing to accept or reject the assigned fortune. You can also leave good luck fortunes tied to the tree, some say they will have an even greater impact there. Ema are votive tablets with a picture on one side and you write your wish, blessing or prayer on the other side. They are hung in the shrine where the Kami receive them and periodically large ceremonial fires are lit where they are burned and the smoke from the fires transmits their message out to the universe. 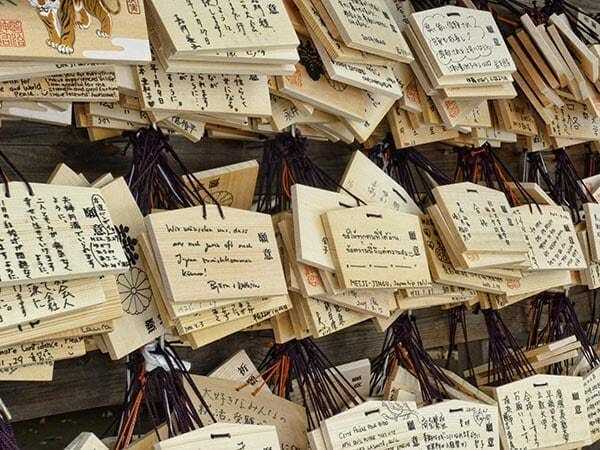 Common wishes are for exam success, happiness in relationships, a new job or health, some shrines are quite specific and attract more specific wishes. 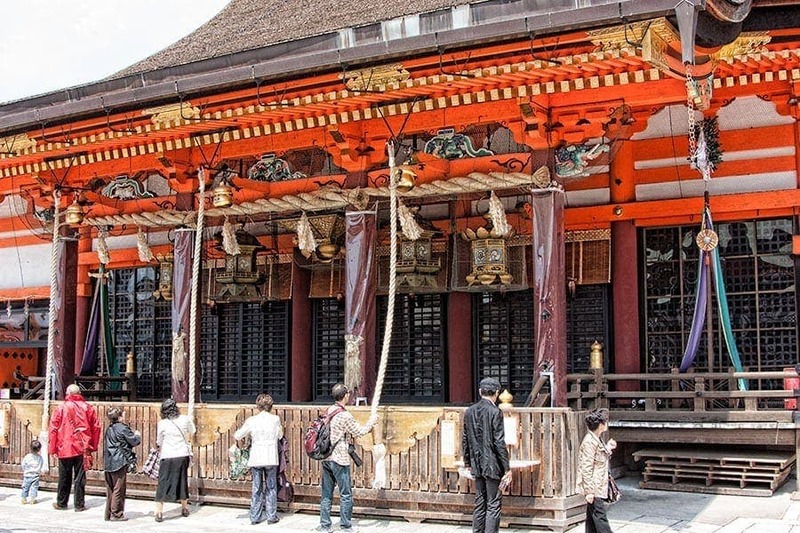 For example Yushima Shrine in Ueno, Tokyo around exam time was teaming with students in school uniform scrambling to hang their ema to the Kami of learning. 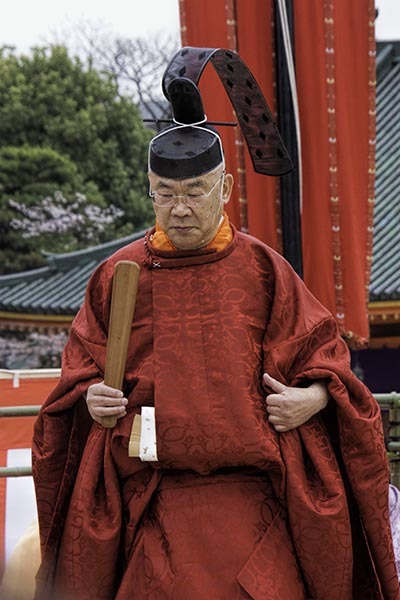 The Kannushi is a Shinto priest. He is identifiable by his unusual head dress, the shaku or wooden batten he carries, his robes and black clogs. He is responsible for the religious observance and running of the shrine. 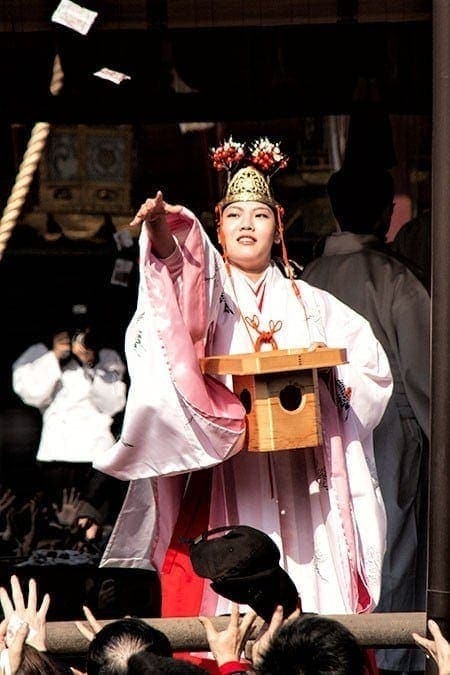 The young women in the shrine are Miko they are assistants or shrine maidens and are involved in both ceremonial and administrative functions. It is not necessary as a foreigner to pray at the shrine but it is acceptable. If you choose to then the basic process is to enter under the torii to the right or left side and bow once as you pass under the torii. Then purify yourself at the chozuya and proceed to the main shrine. Wait your turn for others to finish although at a larger shrine it may be acceptable for more than one person to be at the shrine together. Approach the shrine and toss a coin into the offering box, a small value coin is fine, a Y100 coin is often used. Bow twice, clap your hands twice then ring the bell. Place your hands together and pray. When you are finished step back and bow again to the shrine before leaving. This will be extremely helpful for first time independent travellers Toni. We were lucky to have a Japanese friend showing us around and she took us through the procedure. If it had not been for her we would have had no idea. I didn’t know you had friends there Jan, lucky you! It would be great to have someone to get the local knowledge from as we really aren’t organised tour people.